Your house is your fortress. For each person, the house is a place where comfort and convenience reigns, it’s a place where we rest after hustle and bustle of a difficult working day. But sometimes our home appears not as safe as we would like to see it. The increasing popularity of hypoallergenic cleaning is quite obvious – after all, we are surrounded by countless number of different microorganisms. Some of them are friendly, while others are extremely dangerous to humans. Many people suffering from weakened immunity and allergic diseases vitally need maintaining in the room of ideal purity and in protection against the harmful microorganisms breeding. For example, children’s rooms must necessarily be dedusted, especially if the child suffers from allergies. Every year, the number of people who are sensitive to different conditions increases more and more. Many suffer from traditional cleaning products, someone does not tolerate wool in the room. Dust is also the cause of the itching and irritation of the skin. Many people also suffer from allergy to fungus, house dust mites and so on. Such allergy-causing agents as dust, mold, mites, live in your house, as permanent neighbors. Another common allergen is the pet hair. But how to make the house safe, especially for people who are prone to allergies? It’s very simple – you need to periodically perform anti-allergenic cleaning. This is a great way to get rid in a timely manner of the “allergy provocateurs ” in the house. Such cleaning consists of several stages. 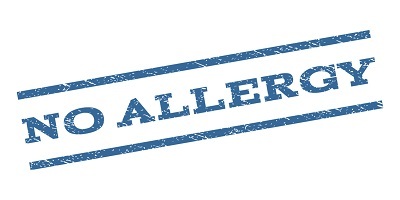 Initially, you need to determine what kinds of allergens are present in the premise, and find their outbreaks. – Fungus and mold are most often found in damp places: in a bathroom, in a toilet, in the kitchen, on windows and windowsills, on old pipes and ducts, etc. – Dust can be concentrated on the surface of furniture, in upholstered furniture, on walls, textiles and ceilings, in books, carpets and other decor elements. – Ticks live in soft furniture, in some wood species, etc. Having identified the hot spots, you can proceed with the elimination of the problem. For cleaning the fur, it is enough to clean all surfaces with a powerful vacuum cleaner and remove its remains from hard-to-reach places. Dust can also be removed with a vacuum cleaner and a wet cleaning. But, for example, dust, deeply engrained in soft furniture or carpet, can be cleaned only with the help of dry (chemical) cleaning. Fighting mites also requires dry cleaning, because these small insects can live deep in furniture, carpeting, mattresses, where it is simply impossible to get by using a conventional vacuum cleaner. – treat the surface with a special antifungal agent. Eliminating the main sources of allergens in the house, you will increase the level of cleanliness and make your home even more comfortable. To perform such a high-quality cleaning a person needs to spend a lot of time and energy. Also the problem is that cleaning with your own hands, even if it is carried out with extreme care, often does not lead to a perfect effect. Allergens are very hard to remove. It happens that a wad of fur, on which a person has an acute reaction, gets stuck in some far-off corner, and it is not possible to remove it. It is clear that, even if the complex cleaning is carried out, the allergen will still act negatively. The difference between professional cleaning and self-cleaning is that employees quickly identify the presence of harmful substances and clean all surfaces. But the modern sphere of services allows you to apply to a specialized company for solving any domestic issue. And it’s much better if such responsible cleaning is conducted by professionals! The difference between professional cleaning and self-cleaning is that employees quickly identify the presence of harmful substances and clean all surfaces. Contact a cleaning company that provides anti-allergenic cleaning services. Maria House Cleaning Company will gladly help you to professionally conduct anti-allergenic cleaning at any type of premises. Make your house a secure place!